Sigrid Lorenzen Rupp, AIA, a champion of women's rights especially in the profession of architecture, died Thursday, May 27th, after a six-month battle with cancer. She was 61. Ms. Rupp, the founder of SLR Architects, died at home surrounded by family and friends. She was diagnosed in November of 2003 with gastric cancer. Ms. Rupp's fascination with architecture dates back to her early childhood in Bremerhaven, Germany. It was during post-war reconstruction that Ms. Rupp became infatuated with the built-environment. After her family relocated to California in 1953, Ms. Rupp learned to speak English, attending grammar, middle and high school in Oakland. Accepted to UC Berkeley in 1960, Ms. Rupp was mentored by renowned architects and professors Joseph Esherick, AIA, Harold Stump and Donald Reay. Upon graduation in 1966 with a Bachelor of Architecture, Ms. Rupp worked for Van Bourg/Nakamura Associates of San Francisco, D'Amico Associates of Mill Valley, Hawley & Peterson of Mountain View, and Spencer Associates of Palo Alto. Ms. Rupp received her architectural license in the State of California in 1971 and was licensed to practice architecture in 13 states. Ms. Rupp was also NCARB certified. In 1976, Ms. Rupp founded her own firm, SLR Architects, for which she served as president until she closed the office in 1998. Ms. Rupp was a former board member and chairperson of the City of Palo Alto Architectural Review Board, former director of the Santa Clara Valley Chapter of the American Institute of Architects and former president of California Women in Environmental Design (CWED). Additionally, Ms. Rupp served on the boards of the New Performance Gallery in San Francisco, Theater Artaud of San Francisco, Family Planning Alternatives of Sunnyvale, Diablo Ballet of Walnut Creek and the Lawrence Pech Dance Company of San Francisco. 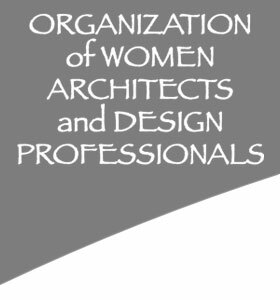 Ms. Rupp was a member of the Organization of Women Architects (OWA), the American Institute of Architects (AIA), the Construction Specifications Institute (CSI) and the Union Internationale des Femmes Architectes (UIFA). In 1998, the International Archive of Women in Architecture honored Ms. Rupp when her body of professional work was included in their collection. Ms. Rupp provided architectural services for many of the pre-eminent Silicon Valley firms: Apple Computer, Sun Microsystems, Tandem, Amdahl, Claris, Raychem, IBM. Additionally, she provided service for AT&T, Pac Bell, United Airlines, Pan Am, Stanford University and Hospital and San Jose State University. Some of her significant projects include the Press Building and Storey House at Stanford University, an RF Testing Facility for Apple Computer, which won an AIA Honor Award, and a six-year factory retrofit and rehab for the Raychem Corporation. Ms. Rupp's work included retail stores, offices, private residences, and remodels of older buildings. Ms. Rupp became involved in women's issues "...simply because I did not want there to be any [women's issues]. It seemed that the time for gender differences should be long over." Ms. Rupp was a mentor to many women and minorities wanting to succeed in architecture. To Ms. Betty Woo, AIA, Ms. Rupp was an inspiration. "She worked in the high-tech industry when it was considered an all-male dominated territory. She encouraged me to keep a Rolodex of all my contacts and then she encouraged me to strike out on my own." Ms. Kitty Locef, AIA, remembers Ms. Rupp as the only architect willing to hire her. Fresh from Hong Kong with minimal English skills, Ms. Rupp helped her improve her language skills while giving her challenging projects. For Mr. Rick Dumas, owner of an architectural firm in Oakland, Ms. Rupp was a mother, a perfectionist, and a member of a minority group just like him. "Even as a black kid of nineteen with no more than a desire to become an architect, Sigrid gave me a job in her firm." Ms. Rupp volunteered extensively in East Palo Alto. She was the project architect for the Ravenswood Health Clinic and provided pro bono services for non-profits serving this community such as Plugged In, a computer education project for children and teenagers. Steven Rupp, Ms. Rupp's former husband and caregiver during her illness, spoke of her firm in East Palo Alto (now a redevelopment site). "That building was a Wells Fargo Bank in 1976. Of all the places she could choose to establish her own firm, she chose Whisky Gulch in East Palo Alto. The banks were leaving, giving up. She was moving in. She was a pioneer, a risk-taker, someone who would quickly garner the respect of the community, and above all someone with the perseverance to succeed." Ms. Rupp will be greatly missed by her family who will always cherish the great Easter brunches she prepared in her beautiful backyard in Palo Alto. In addition to her robust professional life, Ms. Rupp was an active family member who enriched the lives of those she loved. A gourmet cook, amateur botanist and lover of literature, Ms. Rupp was the life of the party at family functions where she told stories from her extensive travels and loved her champagne. During her retirement, Ms. Rupp focused on painting watercolors of bay area landscapes, and traveled extensively recording her experiences in writing and photography in annotated travel diaries. Her watercolors have been in several juried shows of the Pacific Art League of Palo Alto. Ms. Rupp hosted a rotating art show at the Ravenswood Medical Clinic in East Palo Alto for the past 2 years. In her own words, "I'd like to be remembered for dissenting when everyone else thought it easier to go with the grain even when the grain was wrong. I'd like to be remembered for being a competent architect who did competent work, a competent painter who did competent painting and someone who told good stories. I've enjoyed almost everything I [did], but nothing is enough and time (life) is too short." Ms. Rupp is survived by her former husband, Steven Rupp of McMinnville, Oregon, her step-mother, Elisabeth Lorenzen of Bremerhaven, Germany, her brother and sister-in-law, Gernert and Elaine Lorenzen, of San Ramon, and her niece, Uta Lorenzen of Oakland. A memorial service was on June 27th at the home of Charly and Lisa Kleissner at 35678 Highway One in Big Sur. In lieu of flowers, the family requests that donations be sent in Ms. Rupp's memory to a non-profit of your choice benefiting women and women's issues. We will truly miss her presence and participation in OWA, and will hold her memory close to our hearts. Health Net, the health insurance provider for OWA, intends to drop our Association Health Plan coverage effective October 1, 2004, as they are terminating all of their association contracts with groups of less than 1000 members. For over 30 years Janet Crane has been the main coordinator of this health plan, offering the self-employed and uninsured designers an option to securing health care. This option has been a wonderful benefit to OWA members, and the question now arises: What Do We Do? Janet has been in regular contact with John and Anne Jakiemiec from JCG Insurance Services, our insurance agents. She has also met with and will continue to meet with the OWA steering committee. The first priority has been to find alternative coverage for our members. John and Anne are finding alternative small group and individual coverage options. Unfortunately, often there are costs increases which come into play. On an encouraging note, John has had discussions with a Small Group Purchasing Pool that is coming out with a Group Product. Also, other steering committee members are looking into other options: Kaiser, an association with the AIA health plan, an association with other small groups to create a membership exceeding 1000. Individual plans are also available to our health care users, but that can result in a loss of leverage or negotiating power when a problem arises with the health care provider. The second priority is to continue negotiations with Health Net to continue coverage. This may include behind the scenes manipulation, ìbad-pressî releases, and whatever tactics we come up with, short of a law suit. As a final resort, we have the option filing an injunction against Health Net, for violating there contract with us. The problem with an injunction is the commitment to a hard and costly legal battle, where we would probably gain an extension, but would still be left looking at alternative health plans in the future. The OWA steering committee is meeting at the office of Freebairn-Smith & Crane on Tuesday, July 13th at 6:30pm. Please call a steering committee member if you wish to make a contribution to this meeting. We would like your input, insight, and energy. As we have for many years, OWA members will again be gathering at our annual retreat in Sonoma's Valley of the Moon for a weekend of professional development, networking and catching up with friends. With fine food in an exquisite setting, (including pool and hot tub), this respite from busy lives is not to be missed. The subject of this year's retreat, COLOR, will feature Jill Pilaroscia. Her program will bring a lifelong affinity with color, coupled with extensive training in the science of its application in design. She has developed a unique, cross-disciplinary approach, blending art and science, incorporating the practices of scientific studies, traditional and experimental color theory, medical research, western psychology and eastern philosophy. In addition to the regular weekend activities, utilizing the labyrinth that was built as last year's art project/permanent gift to Westerbeke Ranch, in the company of friends and colleagues we will have a brief service to honor the memory of Sigrid Rupp. 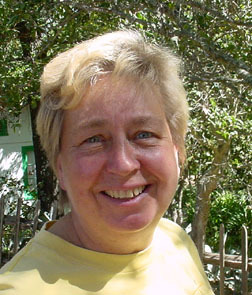 A longtime OWA member, Sigrid died this past May after a brief battle with cancer. She was an architect and artist of immense skill and talent, with an indefatigable spirit whose presence will be sorely missed. IACC Principal, Colour Studio, Inc.
Jill Pilaroscia is known internationally as a leader in the use of color. She has developed a unique, cross-disciplinary approach, blending art and science. Incorporating the practices of scientific studies, traditional and experimental color theory, medical research, western psychology and eastern philosophy, each project is tuned to its specific environmental and functional needs. Her portfolio includes award-winning corporate projects in cities throughout the world. Currently, Jill is the worldwide color consultant for the Hewlett-Packard Company. Jill brings to her work a lifelong affinity for color and extensive training in the science of its application in design. In 1975 she graduated from the San Francisco Art Institute and before long found herself using a painter's eye to create palettes for San Francisco Victorian houses. She soon won the first of several awards for her work, and her career as a color consultant was underway. Assignments for corporate offices, health care and manufacturing facilities, restaurants, hotels, schools, product coloration and historic restoration followed. With a thorough grounding in the aesthetic principles of color use, Jill has continued her formal study of the psychological, physiological and visual ergonomic factors that inform her use of color as a functional tool. Addressing the complex issues of color perception and human response in environments has added greater depth and value to her product. Jill has completed her thesis on Color and Productivity in the Manufacturing Environment, Bentley Carpet Mills for the International Association of Color Consultants, North America IACC NA. Throughout her career, Jill has published articles and books on color, been the subject of television and print interviews, lectured extensively at universities and conferences and received awards and honors for her work. She created a palette of 50 colors exclusively for Sunset Magazine and did color development for a new product line from Deepa Textiles. She is also a devoted mentor to others within her discipline. Jill Pilaroscia's color palettes are characterized by beauty, functionality and an abiding regard for the well-being of those who work and interact within an environment she has created.